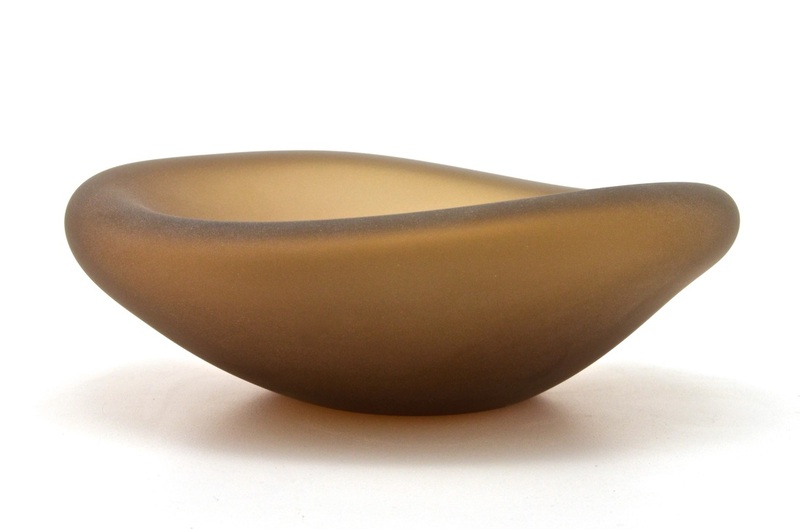 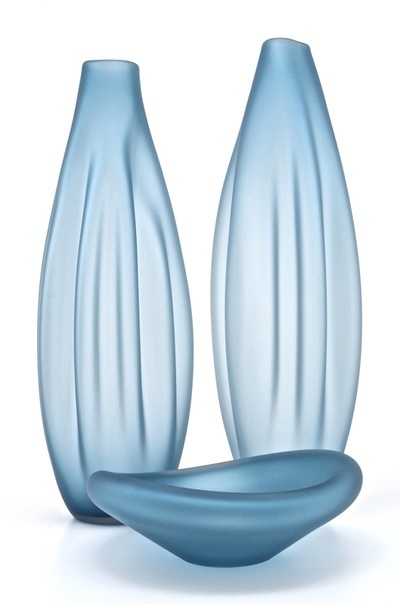 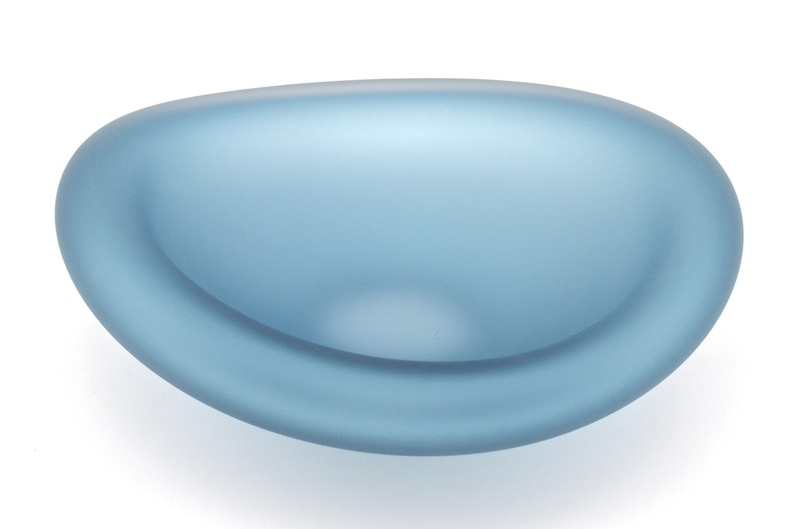 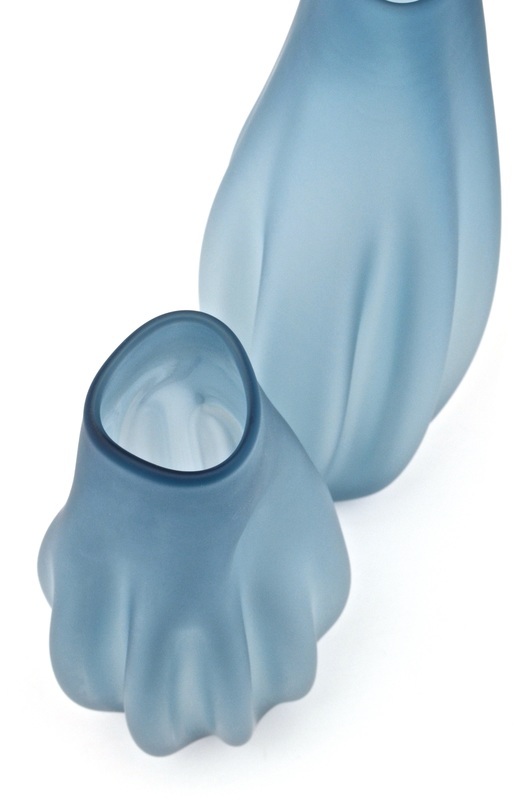 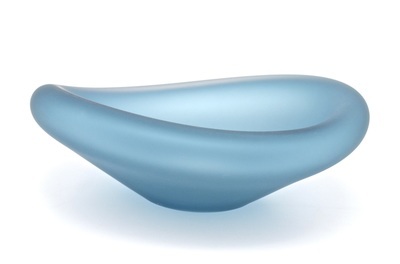 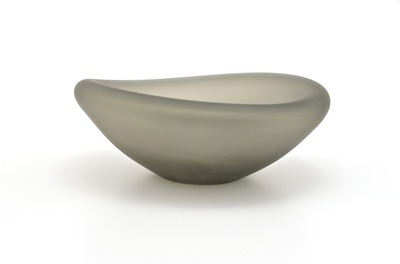 These vessels feature soft, flowing ripples resembling a satin sheet. 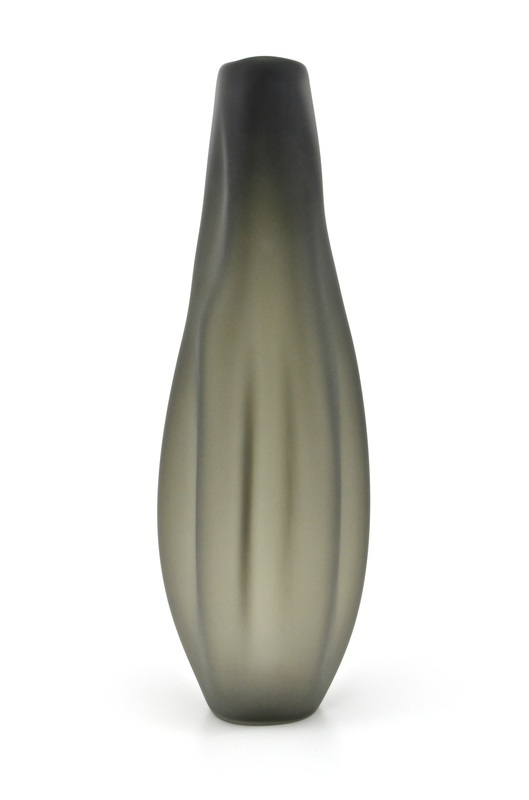 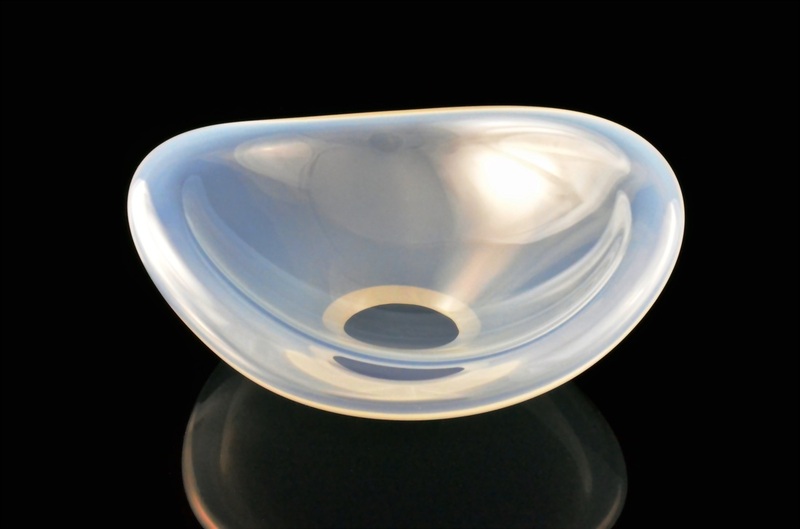 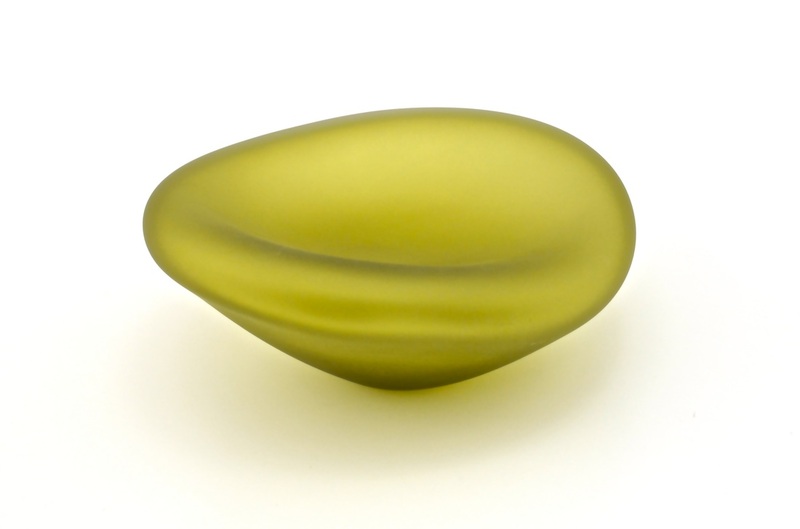 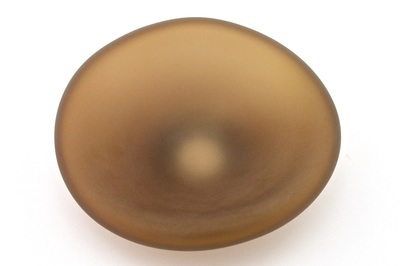 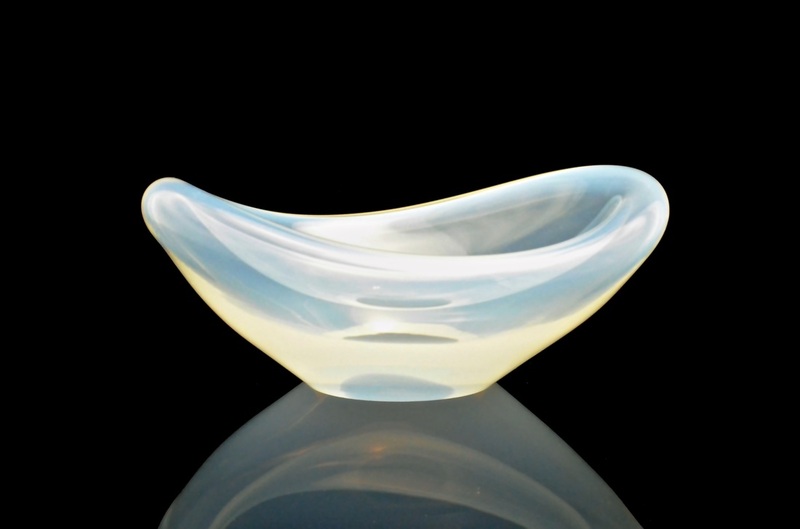 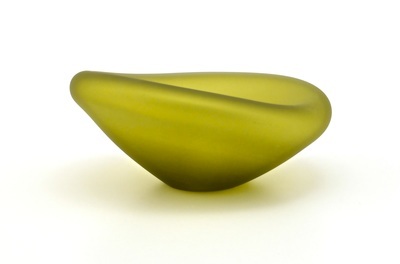 An etched surface gives them the translucent glow that accentuates their curves. 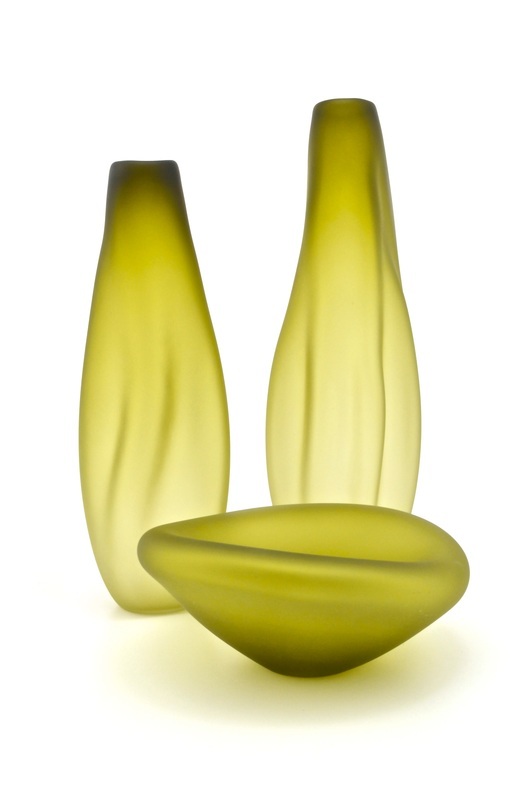 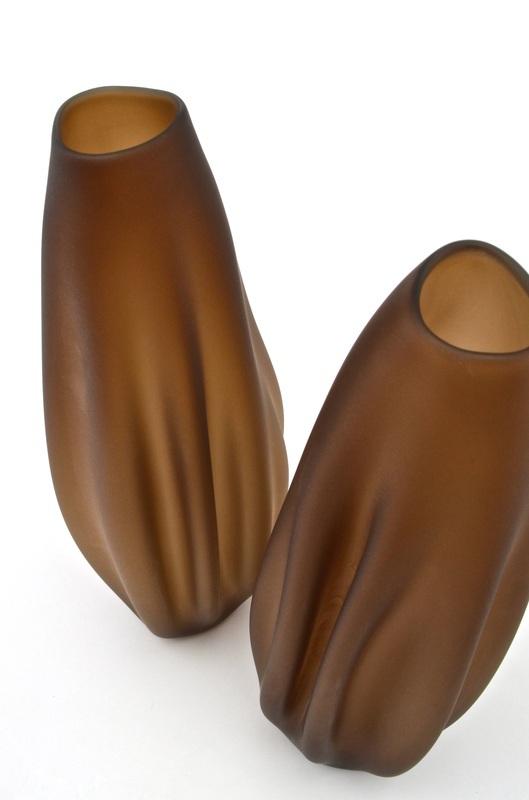 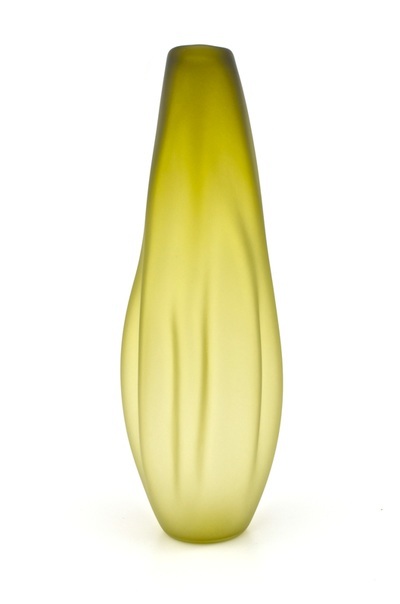 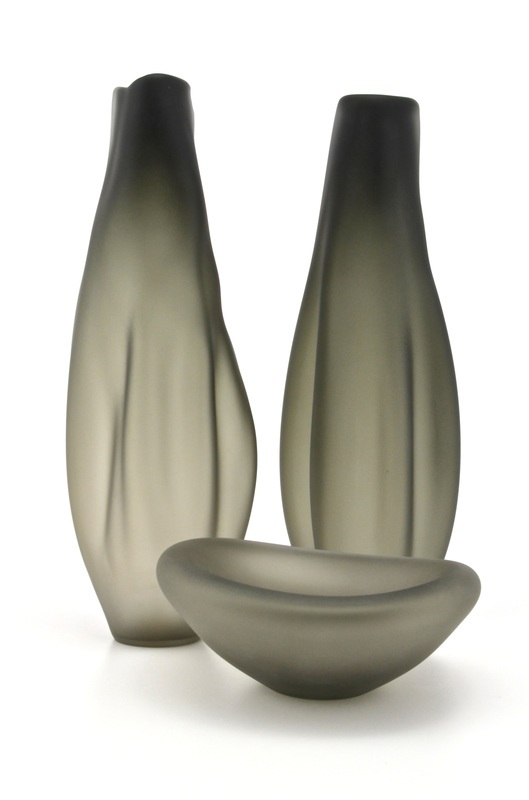 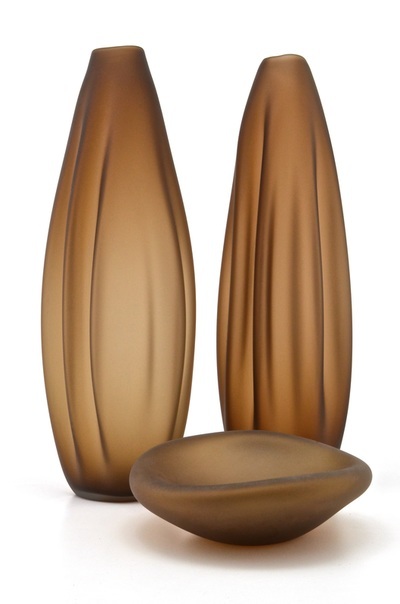 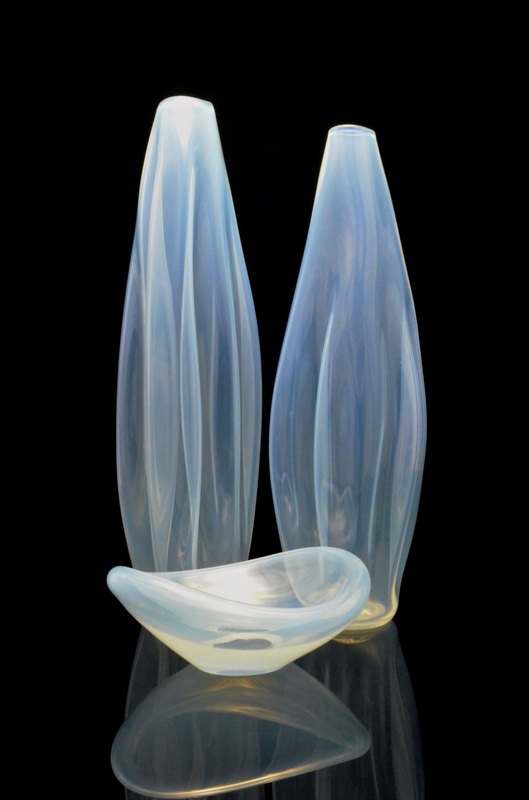 Vases are approximately 16" tall and bowls are approximately 7" wide. 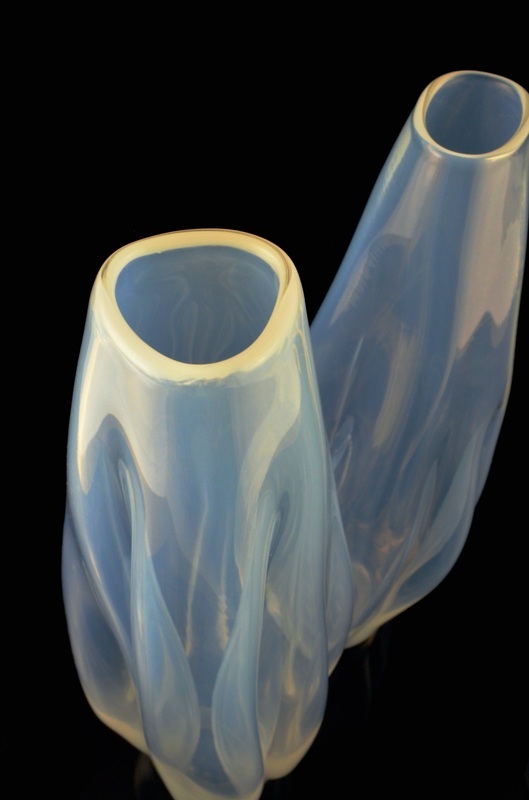 Each piece is unique and dimensions vary.